Click on your chosen category at the left. Select the book you wish to order. Repeat for each book you wish to order. Click on 'Cart' at the left and follow the instructions. KRIS SAJEN, KRIS MAJAPAHIT AND RELATED OBJECTS. Alkema, Theo (text); Grishaaver, Ben (photography); Sirag, Karel (line drawings). 222 pp. ; 288 colour photographs, 27 b/w drawings, glossary, biblio.. Text: English. Leiden, 2010. Cloth. Standard work. IN THE SHAPE OF TRADITION. INDIGENOUS ART OF THE NORTHERN PHILIPPINES. 416 pp. ; 753 illus., including c.150 historical photographs, maps, biblio.. Leiden, 2010. Cloth. THE MARIND ANIM OF NEW GUINEA AS SEEN BY THE MISSIONARIES OF THE SACRED HEART, 1905-1925. 138 pp. ; 64 b/w photographs., 1 map, index, biblio.. English translation of: 'Snellen om Namen'. Leiden, 2010. Pbk. JUROOKNG. SHAMANIC AMULETS FROM SOUTHEAST BORNEO. 240 pp. ; 190 illus., 3 maps, biblio.. Leiden, 2018. Cloth. OF JARS AND GONGS. TWO KEYS TO OT DANUM DAYAK COSMOLOGY. 88 pp. ; 62 illus., maps, biblio.. Leiden, 2016. Cloth. SPIRIT PRIESTS AND ANCESTOR CULTS IN NEW GUINEA'S FAR WEST. 163 pp. ; 127 illus., including many c.100 years old 'korwar' and 'mon' figures, mostly published in colour, 9 maps, biblio.. Leiden, 2017. Cloth. CURIOSITIES FROM THE PACIFIC OCEAN. A REMARKABLE REDISCOVERY IN THE TROPENMUSEUM, AMSTERDAM: THIRTEEN ETHNOGRAPHIC OBJECTS FROM THE BRUNY D'ENTRECASTEAUX EXPEDITION. (1791-1794). Duuren, David van. ; Mostert, Tristan. 72 pp. ; 52 illus., 32 in colour, map, biblio.. Leiden, 2007. Cloth. SEXUAL SELECTION AND SEVERED HEADS. 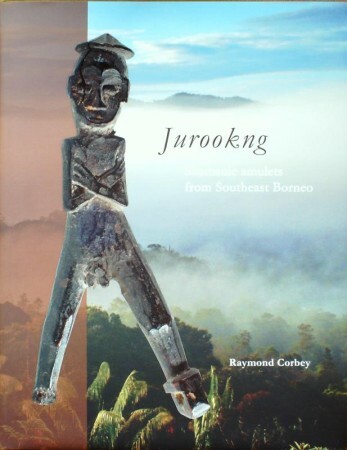 WEAVING, SCULPTURE, TATTOOING, AND OTHER ART FORMS OF THE IBAN OF BORNEO. Heppell, Michael. ; Limbang anak Melaka. ; Enyan anak Usen. 182 pp. ; 223 colour illus. of Iban objects, field photographs throughout, maps, index, biblio.. Amsterdam/Leiden, 2005. Cloth. ASMAT. ARTS, CRAFTS AND PEOPLE. A PHOTOGRAPHIC DIARY, 1969 - 1974. ASMAT. SENI, KERAJINAN DAN MANUSIA. SEBUAH BUKU HARIAN FOTOGRAFIK, 1969-1974. Hoogerbrugge, Jac; Corbey, Raymond; Stanley, Nick. 336 pp. ; c.730 photographs, 56 b/w drawings, 2 maps, biblio.. Text: English and Indonesian. Leiden, 2011. Cloth. PHILIPPINE ETHNIC MUSICAL INSTRUMENTS. 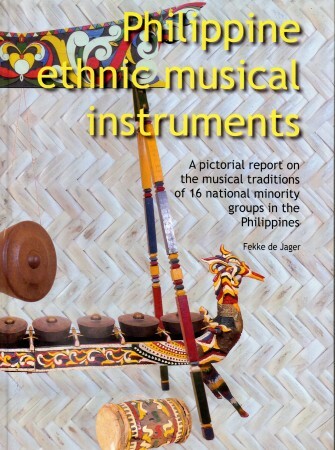 A PICTORIAL REPORT ON THE MUSICAL TRADITIONS OF 16 MINORITY GROUPS IN THE PHILIPPINES. 177 pp. ; 347 illus., maps, index, biblio.. Leiden, 2018. Hbk. Standard work on Philippine Musical Instruments. BALINESE KERIS. METAL, MASCULINITY, MAGIC. 64 pp. ; 88 colour illus., biblio.. Leiden, 2019. Hbk. Important in-depth study on the Balinese Kris. LANGS DE RIVIEREN VAN MIDDEN-KALIMANTAN. CULTUREEL ERFGOED VAN DE NGAJU EN OT DANUM DAYAK. ALONG THE RIVERS OF CENTRAL KALIMANTAN. CULTURAL HERITAGE OF THE NGAJU AND OT DANUM DAYAK. 176 pp. ; c.200 b/w photographs, 3 maps, glossary, biblio.. Text: Dutch and English. Leiden, 2012. Pbk. AN ANNOTATED BIBLIOGRAPHY OF INDONESIAN, FILIPINO & MALAY EDGED WEAPONS. (Paperback edition). 495 pp. ; 4455 entries, 100 illus.. Leiden, 2015. Pbk. Standard work. WEST CENTRAL AFRICAN 19TH CENTURY THROWING KNIVES IN THE NATIONAL MUSEUM OF ETHNOLOGY - LEIDEN. 112 pp. ; 83 throwing knives illustrated in colour, 12 b/w 19th century field photographs, drawings, map, biblio.. Exh. cat. National Museum of Ethnology, Leiden, 2006. Cloth. GLITTERING AS GOLD. THE HARRY AND MIEP SCHILLINGS COLLECTION OF WEST AND CENTRAL AFRICAN BRONZE ADORNMENTS. 200 pp. ; 100 colour plates, field photographs, maps, index of ethnic groups, biblio.. Leiden, 2017. Cloth. In slipcase. TRADITIONAL WEAPONS OF THE INDONESIAN ARCHIPELAGO. 160 pp. ; c.650 illus., indices, drawings, maps, hundreds of cross-references throughout, biblio.. Text: English. Leiden, 2001. Cloth.